Yachtowners, the specialist yacht syndicate of The Shipowners’ Club, has launched an additional service for those Owners who have purchased its Enhanced PA cover, (crew Personal Accident with medical expenses cover). The availability of this dedicated helpline for crew, providing 24-hour emergency medical advice and access to treatment where necessary, is part of Yachtowners’ strategy to provide the best service in the sector as well as the most comprehensive cover. Yachtowners continues to bring the established values of mutuality to the growing superyacht sector, including enhanced service and assistance in managing claims. Following the earlier introduction of market leading liability policy wording and PA covers, the addition of this valuable source of assistance to crew in need of medical attention in a foreign port or remote region, further promotes the aim of making life easier for both owners and crew, and is provided at no cost to them. The Emergency Helpline will be operated by Speciality Assist Ltd*, which provides experienced medical co-ordinators ensuring appropriate advice and care 24/7. Speciality Assist’s contact details will be made available to all crew members employed by vessels benefitting from Yachtowners Enhanced PA cover. The medical cover is applicable to crew whether they are onboard or not at the time of the emergency. Speciality Assist’s service boasts multi-lingual staff with 24hr access to medical expertise and a comprehensive network of practitioners, clinics and hospitals around the world. All costs incurred will be billed direct to Yachtowners, thus ensuring that the crew and owner are inconvenienced as little as possible. The Shipowners’ Club is a mutual marine liability insurer, providing Protection & Indemnity insurance to small and specialist vessels since 1855. The Club is a member of the International Group of P&I Clubs and works with more than 600 broking companies globally to insure over 33,000 vessels across a range of operating sectors and geographical areas. Geodis Wilson has announced the appointment of Matthias Hansen as the new Regional Vice President (RVP), EMEA (Europe, the Middle East and Africa) with immediate effect. Matthias has been acting as interim RVP for the last few months. He now replaces Alain Chimene on a permanent basis. 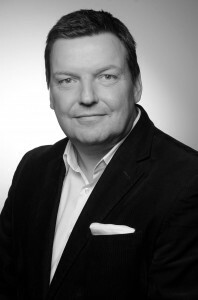 Matthias became Managing Director for Germany in 2009 and also served as Managing Director North Europe (including Belgium, Netherland and United Kingdom). Matthias will continue with his responsibilities in the North European region in addition to his new role, until a successor is nominated. 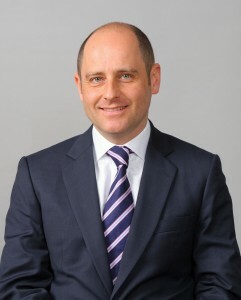 Commenting on his appointment, Matthias said, “EMEA is Geodis Wilson’s largest region in terms of business volume and number of employees, and it has many unique challenges – as well as opportunities. Building on the established organisational structure put in place by Alain since the establishment of the region in 2010, my aim is to increase market growth whilst balancing that with cost-conscious improvements in productivity”. Geodis Wilson is a leading, global freight management company. With around 9,000 employees in 61 countries the company delivers tailor-made, integrated logistics solutions to its customers enabling them to grow their business worldwide. Geodis Wilson – with a revenue of 2,67 bn € in 2013 – is the freight forwarding arm of Geodis Group, a subsidiary of the French rail and freight group SNCF. Kawasaki Kisen Kaisha, Ltd. (“K” Line) is pleased to announce that International Transportation Service, Inc.（ITS）, a subsidiary of “K” Line, has placed an order for 4 units of the largest and most modern gantry cranes with PACECO® CORP., a subsidiary of MITSUI ENGINEERING & SHIPBUILDING CO., LTD. that will install these new 23-row width cranes at ITS’s container terminal at Long Beach. These cranes also have capability to load and discharge containers from ULCVs (Ultra Large Container Vessels) with new technology such as soft landing system(*), which will enable ITS to provide even higher quality service than that which its customers presently enjoy. (*) With this system, crane automatically slows down or stops when approaching the container to be lifted. This system eases crane driver’s handling and improves operational efficiency. ITS was established in 1971 and operates terminals in Long Beach, California, supporting “K” Line’s transpacific containership services for more than 40 years. In 2014, K” Line and Ports America agreed to form a strategic partnership with Ports America obtaining 30% of ITS shares. This partnership aims at further enhancing and expanding “K” Line’s container terminal business. Husky Terminal & Stevedoring, Inc., a wholly-owned subsidiary of ITS, was established in 1983 and has operated a terminal in Tacoma, Washington for more than 30 years, continuously responding to increasing cargo movements by conducting terminal expansion construction and increasing exclusive leased land. Dachser, one of Europe’s leading logistics providers, has changed its legal form to a Societas Europaea (SE) and has opened the way for the future. The family-owned company is not planning an IPO. Dachser is now a Societas Europaea (SE). 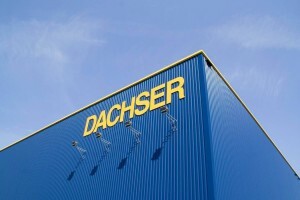 Dachser GmbH & Co. KG has transferred its major business fields Road Logistics (including the European Logistics and Food Logistics Business Lines) and Air & Sea Logistics to the 100%-owned subsidiary Dachser SE. Dachser GmbH & Co. KG itself will operate as a holding company called Dachser Group SE & Co. KG. By providing a modern holding structure, the legal form of the SE offers the family-owned company an ideal framework in which to combine its corporate structure with subsidiaries in Germany and abroad. In the future, Dachser’s name in the German marketplace will be Dachser SE, but the various names of the country organizations outside of Germany will remain unchanged. The existing Administrative Board will also continue to operate as a supervisory board at Dachser SE with oversight functions. Within Dachser Group SE & Co. KG, the Executive Board and the corporate positions reporting to it will carry out central management and control functions at the global group-wide level. The Executive Board includes Bernhard Simon (CEO), Michael Schilling (COO Road Logistics), who also serves as deputy head of the Executive Board, Thomas Reuter (COO Air & Sea Logistics), and Burkhard Eling (CFO). Eight operating divisions, which are led by Managing Directors, will function at the level below the Board within Dachser SE. Aside from Dachser Food Logistics, which Alfred Miller will continue to manage, these units are divided up by region: Germany, North Central Europe, France & Maghreb, and Iberia in the Road Logistics business field, and EMEA, Americas, and Asia Pacific in the Air & Sea Logistics business field. “The eight operating divisions will reinforce our decentralized business strategy, giving us the ability to be even quicker and more flexible in our decision-making. And once again this will bring us closer to our customers,” said Simon. Dachser, a family-owned company operating globally and headquartered in Kempten, Germany, is one of the leading logistics providers in Europe. Dachser provides comprehensive transport logistics, warehousing, and customer-specific services in three business lines: Dachser European Logistics, Dachser Food Logistics, and Dachser Air & Sea Logistics. Comprehensive and multi-disciplinary services, such as contract logistics, consulting and advisory services, and industry-specific solutions round out the company’s offerings. A seamless transport network—both in Europe and overseas—and information technology that is fully integrated into all its systems provide intelligent logistics solutions worldwide. For more information about Dachser, please visit www.dachser.de. CKYHE Alliance, COSCON, “K”Line, Yang Ming, Hanjin and Evergreen Line is reorganizing their service network for Asia-North Europe and Asia-Mediterranean trades in 2015. CKYHE Alliance will provide six Asia-North Europe services (NE2 / NE3 / NE5-CEM / NE6 / NE7 / NE8-CES) and three Asia-Mediterranean services (MD1 / MD2 / ADR) with the optimum port coverage throughout Asia, North Europe, East Mediterranean, West Mediterranean and Adriatic region from early April of 2015. CKYHE Alliance will continuously offer quality service to customers by enhancing service efficiency, providing stable transit time and offering more flexible port-pair options. The detailed service information will be as follow. Pusan-Qingdao-Shanghai-Ningbo-Yantian-Hong Kong-Nansha-Singapore-Piraeus-La-Spezia-Genoa-Barcelona-Valencia-Piraeus-Singapore-VungTau-Hong Kong-Shanghai-Pusan- (USA) -Pusan. Geodis Wilson, one of the world’s leading freight management companies, launched its internal innovation campaign in 2011. Now being presented for the third time, the initiative is designed to encourage the creative potential of its employees worldwide. 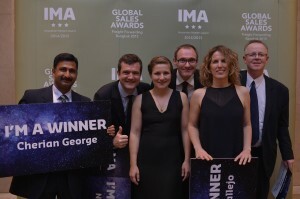 The winners of this year’s “Innovation Masters Award” (IMA) were announced at a ceremony in Bangkok on 5th of February. Susanna Vallejo from Spain for her CSR related project entitled ‘Citizens of the World’ to foster international mobility within the company. Cherian George from Australia for his project entitled ‘Global Office Ranking’ to increase efficiency and to foster a performance culture. Anders Wennberg from Sweden, Nicolas Chaze and Ludovic Vergin (both from France) for their project entitled ‘Check ‘n’ Amend Tool’ that aims at improving data quality internally as well as for the customers. The Award attracted over 250 entries from Geodis Wilson employees and the merits of each were considered by regional judging panels. Once a short-list had been drawn up the final panel of judges, compiled of board members, selected the winners of the “Innovation Masters Award” for 2015. Geodis Wilson is a leading, global freight management company. With around 9,000 employees in 61 countries the company delivers tailor-made, integrated logistics solutions to its customers enabling them to grow their business wordwide. Geodis Wilson – with a revenue of 2,67 bn € in 2013 – is the freight forwarding arm of Geodis Group, a subsidiary of the French rail and freight group SNCF. Kawasaki Kisen Kaisha Ltd (“K” Line) has decided in a board meeting held on Friday, 13th February changes of Representative Directors and Executive Officers. 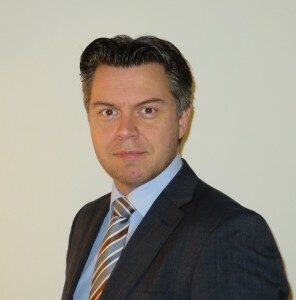 Geodis India is pleased to announce the appointment of Martijn Tasma as National Sales Manager. Martijn has the overall responsibility for sales & market development of Geodis’ Freight Forwarding and Logistics business line in India. The main priorities of the new National Sales Manager will be to strengthen and increase the company’s trade lane activities, particularly with a focus on Brazil, China and the USA, and to expand the business in key market segments such as Fashion, Retail, Industrial, Automotive, Hi-tech and Pharma. Geodis is a leading international logistics provider, with 32,000 employees in more than 60 countries. Its freight forwarding division, Geodis Wilson, delivers tailor-made, integrated logistics solutions to its customers enabling them to grow their business worldwide. Geodis India belongs to the freight forwarding division. Geodis Wilson – with a revenue of 2,67 bn € in 2013 – is the freight forwarding arm of Geodis Group, a subsidiary of the French rail and freight group SNCF. A detailed analysis of the root causes of insurance claims show 80% of bodily injuries at global ports and container terminals involve handling equipment or vehicles. Speaking at the Philippine Ports and Shipping Conference in Manila today, TT Club’s Asia Pacific Regional Director, Phillip Emmanuel emphasised the statistic and urged operators to improve their management practices in order to reduce the incidents which result in injury and sadly sometimes death to workers and others at ports and terminals. TT Club, a leading international provider of insurance to the freight transport and cargo handling sector, has carried out root cause analysis of nearly 7,000 claims valued at more than US$10,000 and totalling US$425 million. The lessons to be learned for port and terminal operators in terms of minimising future risk to the workforce and third parties, equipment, ships and other property are numerous. TT Club executives, including Emmanuel, are committed to highlighting these, often avoidable, dangers and to promoting safer working practices across the sector. During his Manila speech, Emmanuel drew his audience’s attention to a comprehensive catalogue of operational issues that require careful management to control potential risk, including quay crane boom collision and adequate crane braking systems, regular equipment maintenance regimes, fire prevention systems, adoption of best practice in packing and handling of cargo, and appropriate processing of dangerous goods.